The Happy Hearts line embraces the heart as a symbolic motif of the Happy Diamonds collection, interpreting it with playful creativity. 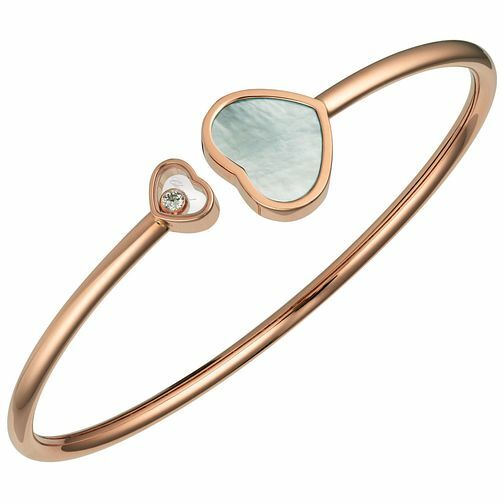 This timeless bracelet in 18-carat rose gold shines with a pair of elegant hearts: a large heart with mother-of-pearl at one end and a small heart housing one of Chopard's celebrated moving diamonds at the other, in a sparkling celebration of love. Chopard stands for innovation, quality craftsmanship and authenticity.